Berberian Sound Studio tells the story of an introverted British sound engineer who travels to Italy to work on a shlocky Giallo horror film. He stabs cabbage, smooshes melons and begins to blend fact with fiction while in the post-production phase of the bloody horror film. 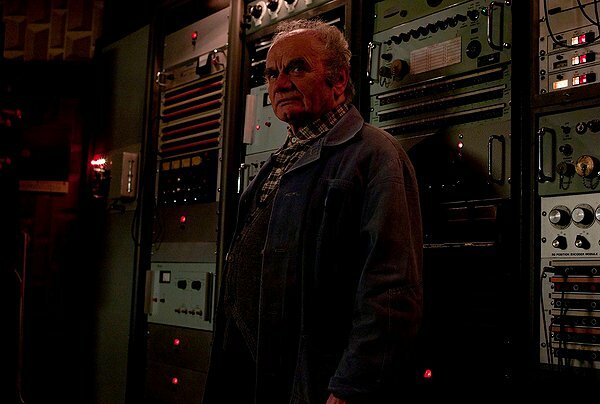 Berberian is a film for movie lovers that plays like an anti-horror study in sound. Casual horror fiends will lose their patience while cinephiles will be spellbound. Berberian shares the secret of the foley trade and examines the recording process of Italian B-movies. Easy it ain’t. However, it is richly rewarding for fans of horror (co-writer John loves his horror and he has several reviews about Lucio Fulci and Co. Check them out). 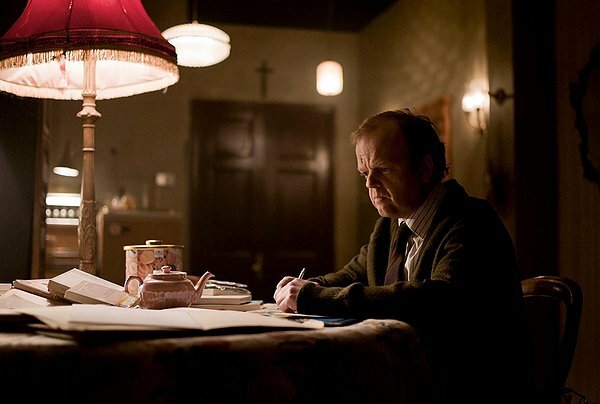 Toby Jones is the unlucky man sent to the Italian sound studio where the men are macho, pay is hard to come by and women are either rude or objectified. He spends his days and nights recording various sounds and adding some class to a classless picture. He can’t bring himself to kill a spider so the death toll of the film “The Equestrian Vortex” weighs heavily on his body and mind. He spends most of his time alone and doesn’t speak Italian so his loneliness starts wreaking havoc on his already fragile psyche. Berberian is all about the look, ambiance and Giallo creation. The dark colors and quiet moments are interrupted by dubbed screams and the bright explosion of watermelons. It is an analog lover’s dream as knobs are turned, sound is adjusted and miles of tape flow through the recorders. I’d imagine that endless research was done in order to capture the old school trade. The production design is beautiful and adds a layer of dread atop the believable mechanics (there is zero arbitrary turning of knobs in this film). There is a moment that I absolutely loved. While waiting for the power to come back on the bored crew asks Jones to create the sound of a UFO via a lightbulb and wire brush. The audience loves the demonstration and ask him to recreate the sound of bats. He pulls out a piece of lettuce (or cabbage) and is about to break into it when the lights come back on. The aura is lost and the audience walks away while he holds the lettuce. The moment shows how powerful the fakery of cinema is. When the lights turn off the audience becomes willingly captive and entranced at the proceedings. However, when the lights turn back on, the real world returns and everyone goes about their jobs. 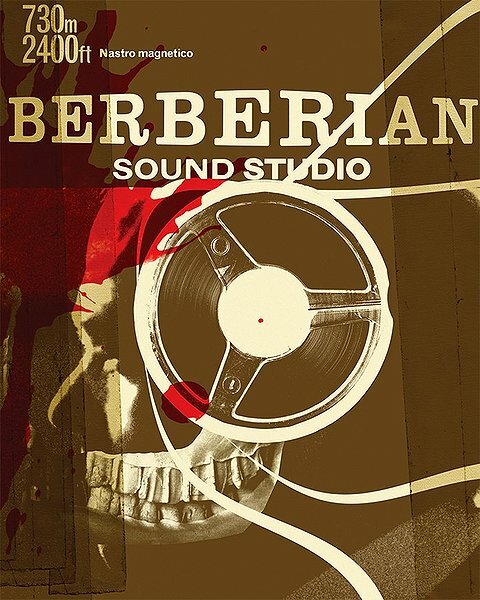 Berberian Sound Studio is an odd film. However, it features wonderful set design, fantastic performances and teaches us a thing or two about movie creation. Turn off the lights, hide your cell phone and immerse yourself in the sights and sounds. Great review! I really need to get around to watching this. Thanks. It is an odd little film but I loved every minute of it. Felt like a mini film school.